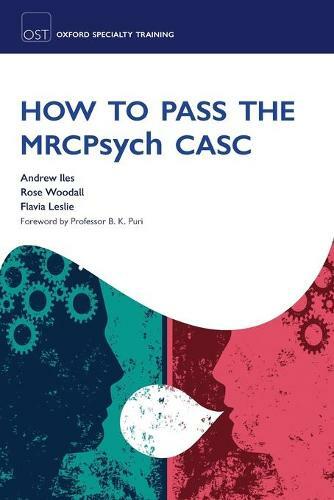 Following the recent changes to the psychiatry training curriculum by the Royal College of Psychiatrists, this is the first book of its kind specifically written to offer revision support for the new Clinical Assessment of Skills and Competencies (CASC) exam. It combines practical information with invaluable suggestions of how one might phrase particular questions and direct the conversation during the client interview. It confidently summarises history-taking, mental state examination, clinical management, risk management, diagnostic criteria as well as key clinical guidelines. It also includes a large bank of mock examination scenarios for candidates to practice. As part of the Oxford Specialty Training series, it complements and cross-references to key titles in the field of psychiatry.